The final call for application to the first annual ‘Doc Fest Ireland’ festival closes on March 8th. Launched by the Belfast Film Festival, Doc Fest Ireland will take place in Belfast from Wednesday 12th June – Sunday 16th June later this year. Doc Fest Ireland will showcase only documentary films, presenting new Irish and international feature-length and short documentaries. The festival will provide a platform to showcase the Irish documentary filmmaking industry, promoting a dynamic programme of events that are both entertaining and provocative. The last five years have seen a surge in highly acclaimed feature-length documentaries from the island of Ireland, with many securing theatrical releases. Hard-hitting post-conflict legacy films such as Sinead O’Shea’s ‘A Mother Brings Her Son To Be Shot’, and Belfast-based Sean Murray’s ‘Unquiet Graves’ are making waves in the industry. Belfast based Fine Point Films filmography includes Emmy-nominated ‘Elián’, Alex Gibney’s ‘No Stone Unturned’ and ‘Bobby Sands: 66 Days’, which is currently streaming on Netflix. The success of Belfast Film Festival’s sold-out pilot Irish Documentary Festival in 2018 (Pull Focus) highlights the strong interest in documentary film and the need for film festivals on the island of Ireland that focus on this type of film. Doc Fest Ireland will also host a series of industry events, master classes, pitching sessions and information sessions for new and emerging filmmakers including the BFI/Doc Society New and Emerging Talent Day. The festival is now seeking submissions for Doc Market, an opportunity for filmmakers to meet with industry professionals including international funders, broadcasters, distributors and exhibitors from across the UK, ROI, US, and EU. Companies such as Irish Channel TG4 and flagship BBC documentary strand Storyville will be in attendance. Outstanding Contribution to Documentary Film Award. “Belfast is one of the most interesting cities in the world. It’s a city in transition and undergoing rapid social change. It is a fascinating place to take the temperature of the UK and Ireland. 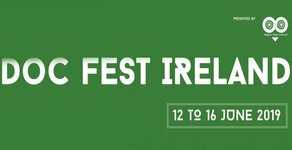 Add in the fact that the team behind Doc Fest Ireland is passionate and experienced, and that Ireland has a great tradition of documentary film, and it’s hard to think of a better place to launch a dynamic new documentary festival”. Doc Fest Ireland’s principal funder is Northern Ireland Screen with additional funding from Belfast City Council, BFI, Tourism Ireland, Tourism Northern Ireland, Ulster University, Queen’s University, Community Relations Council, British Council and Department for Communities.